If there’s anything we love more than Jose Mari Chan songs blasting as early as September, it’s probably the Manila International Book Fair (MIBF). That’s five straight days of books, bargains, and binging for book lovers. And speaking of love, another thing we Filipinos love—perhaps more than anything else—is food. What’s not to love about our cuisine? We have a wide selection of sarsas, the specialties served only on special occasions, and decadent desserts like ube, buko pandan, plus kakanin. We have so much to be proud of in our cooking, and that shows in the number of books that have been published about it in the past couple of years. The Nolisoli.ph team went to the MIBF opening day and if the crowds are any indication, the book industry is far from being over despite threats on book importation and all. We scoured more than 100 booths, for these 10 finds on Filipino cooking. A sequel to the bestselling Kulinarya book published in 2008. 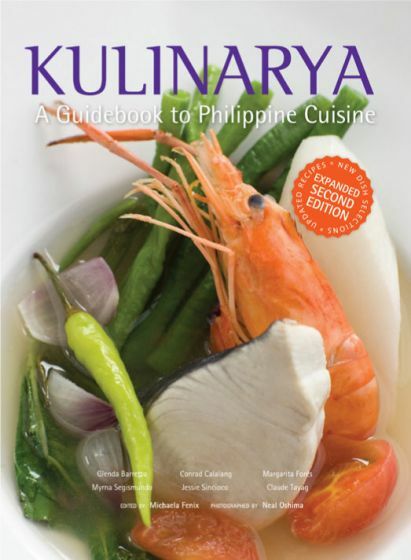 This features recipes, trade secrets, and tips for aspiring cooks from renowned local food critics and chefs alike like Claude Tayag, Margarita Fores, Glenda Barretto, Myrna Segismundo, and more. Cooking the Filipino way is filled not just with a bounty of flavors but also many words to describe it. 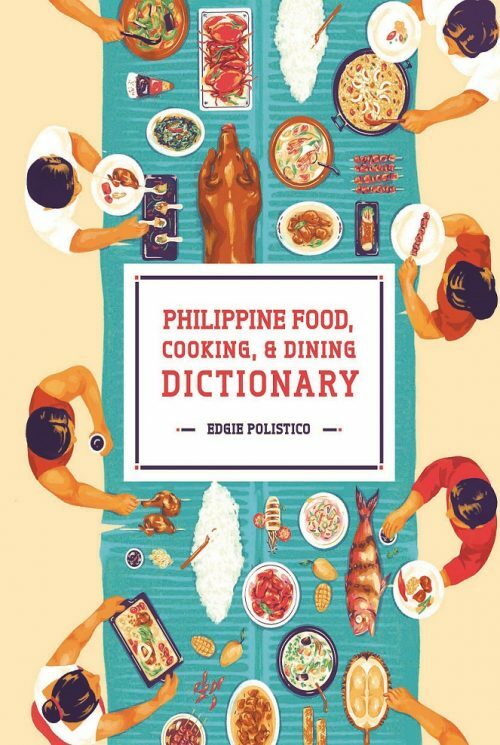 This dictionary features more than 8,000 terms to get you more familiar with our own cuisine from Luzon, Visayas, and Mindanao. 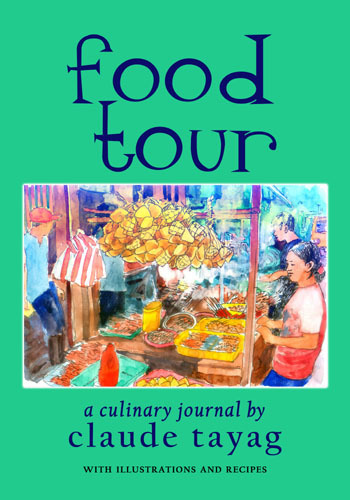 More than just a depository of acclaimed Filipino food critic Claude Tayag’s culinary adventures, this book also features some fond recipes from his travels and years of experience. 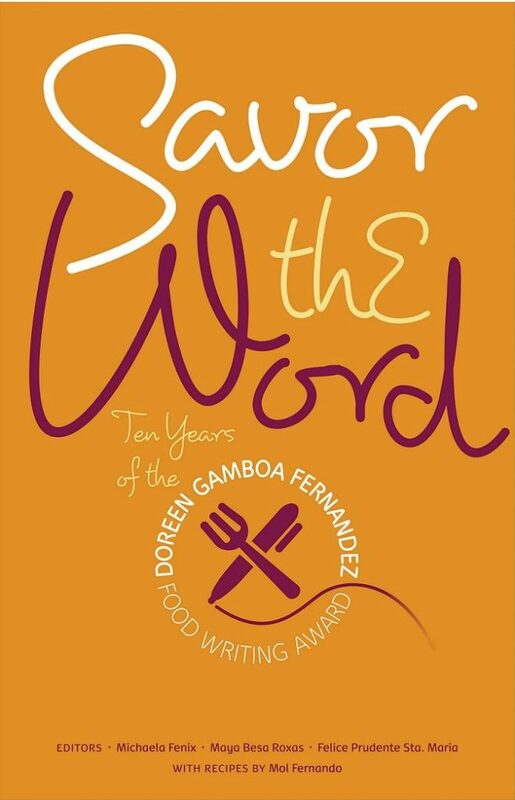 There is so much to be said about our cuisine, and the Doreen Gamboa Fernandez Food Writing Award seeks the best talents in chronicling our food literature. This book is a celebration of a decade of food writing as well as an ode to the late food personality. In true Tayag fashion, this book explores the food finds one can enjoy from hopping island to island in the vast archipelago that is the Philippines. Linamnam also introduces us to the complexity of our own cuisine which is more than just the adobo and the sinigang. 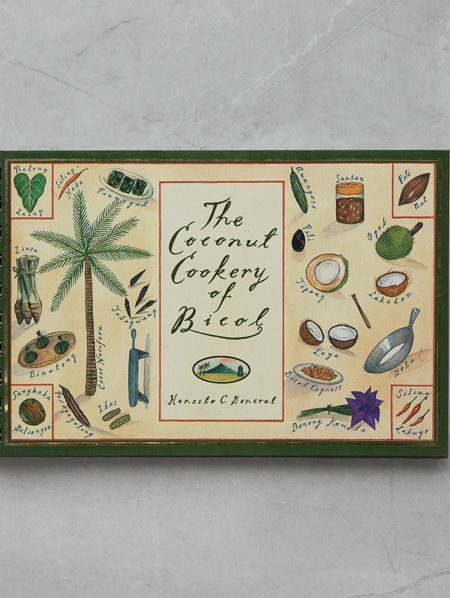 Coconut plays an important part in our cooking much so with the cookery of Bicol. Imagine the spicy Bicol Express without the coconut milk? But more than its milk, the fruit of the “tree of life” offers so much more. 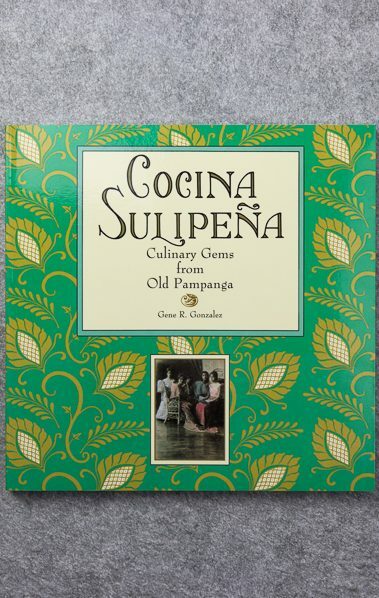 More than just unearthing old recipes, this book also retells the time when Old Pampanga specifically a town called Sulipan was the center of the province culinary roots. 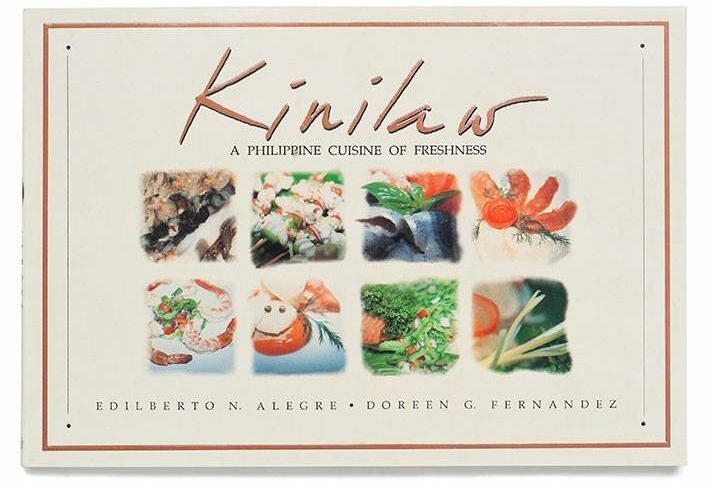 The complexity of this simple dish that is kinilaw is central to this book: from the souring agents used to the meat usually utilized like fish, shellfish, and seaweed. 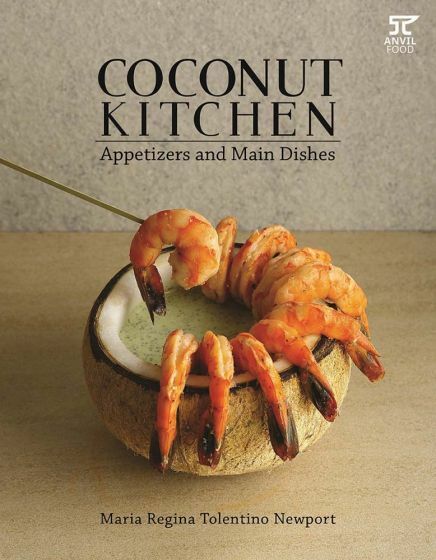 A true testament to the versatility of coconut, this book entails the many uses of all the parts of the fruit from its meat to juice and its milk. To illustrate this it includes a number of recipes from Amy Besa and Romy Dorotan, Norma Chikiamco, Pia Lim-Castillo, etc. We have a rich culinary heritage that dates back to pre-colonial times and sadly, the reality is that many of it are in danger of being forgotten for various reasons. 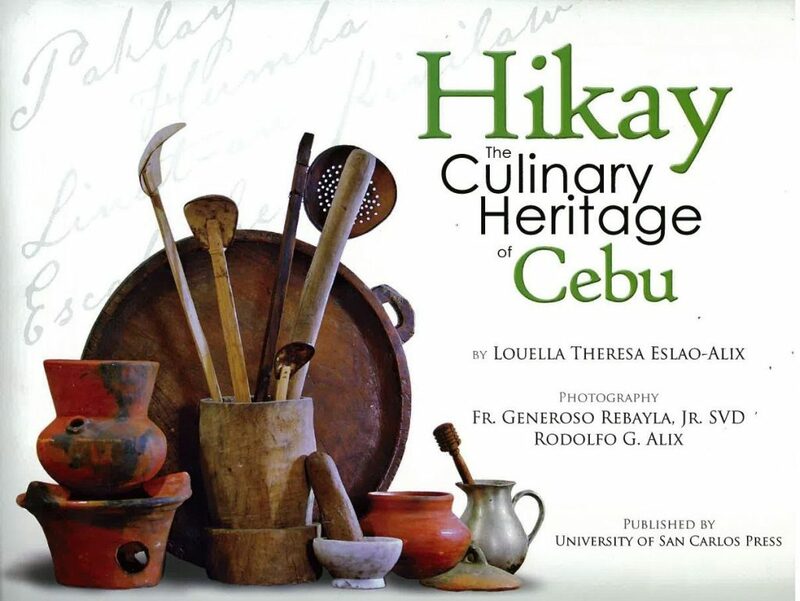 Alix, in an effort to save what is left of the cooking culture of Cebu list down recipes, techniques, and even traditions unique to the place.